The Open Group IT4IT Reference Architecture and Operating Model for IT Service end2end lifecycle-managament can be extended with an additional strategy and business related value stream. Historically the IT4IT is covering the IT function and especially the conventional application layer (domain). To cover the overall enterprise development, the IT4IT can be exetended with certain strategy planning and business architecture capabilities. 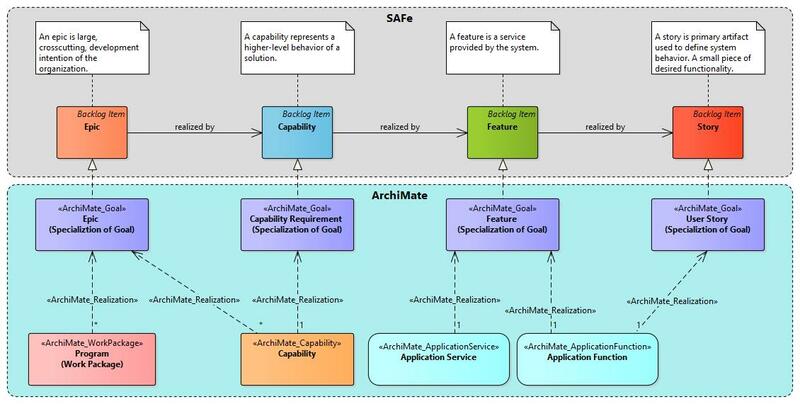 Here is an example draft that introduces some add-on aspects to the core IT4IT reference architecture. 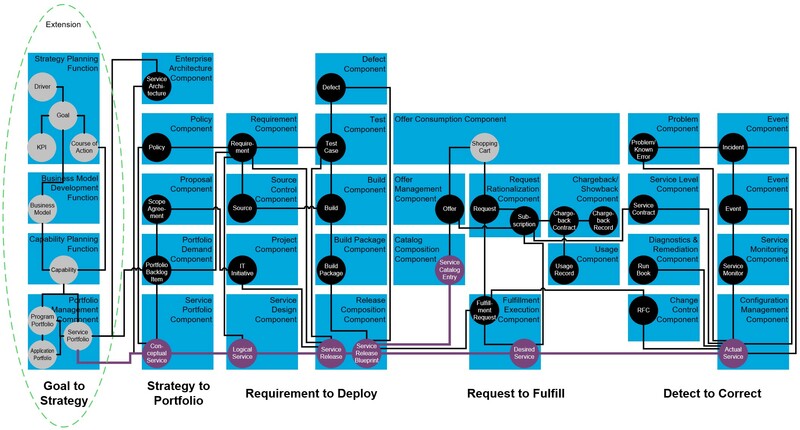 Here is an example of the extended IT4IT-framework, with the extension value stream named “Goal To Strategy” (G2S) on the left (figure below). This value stream covers strategic goals, business models and capabilities that formulate the fundamental intentions that the organization wants to achieve. This value stream is just an example of those capabilities that could (should) exist in the enterprise, and which represent the governance and management aspects. The enterprise architecture capability is the link between strategy and business planning layer to the IT layer. 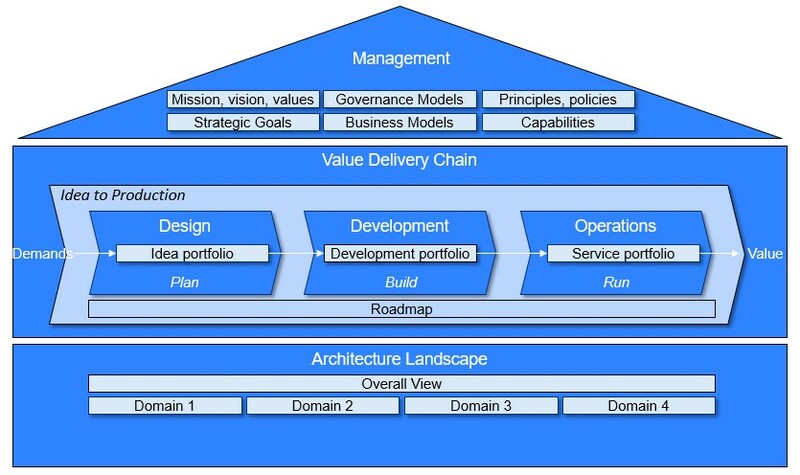 The extension value stream “Goal to Strategy” consists of following organizational functions: “Strategy Planning”, “Business Model Development” and “Capability Planning”. There is also “Portfolio Management” functional component, which can also be a function. IT4IT defines functional components as follows: “A functional component is the smallest technology unit that can stand on its own and be useful as a whole to a customer.” [IT4IT specification]. Goal to Strategy extension feeds the IT4IT value chain with the strategic business-driven goals as shown in the figure below.